I came home from work this morning and this is the sight that greeted me. 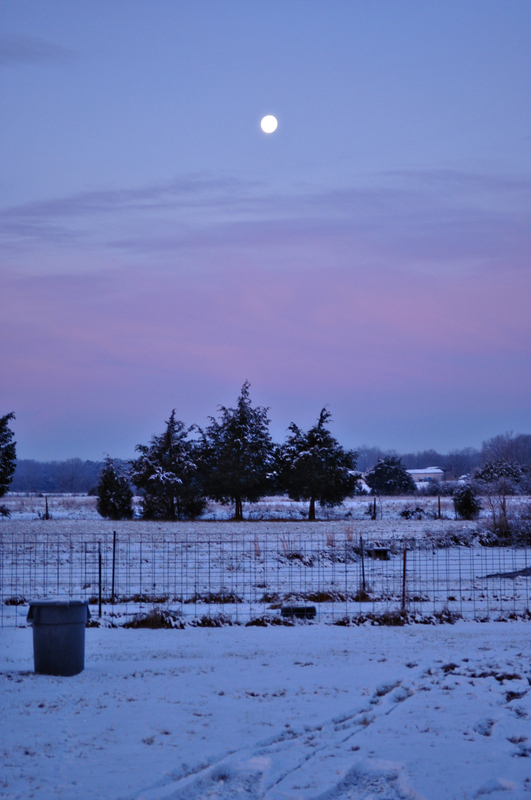 The snow makes the colors pop off the cloud cover and it totally enthralling. Even more enticing was the way the snow sparkled off the head lights as I traveled down the road in near dark. It was diamonds twinkling everywhere. I couldn’t get enough of it. But I had no means of capturing it on film at the time. After capturing the eastern sky, I turned around and this winked down at me…. Winter has so few redeeming qualities. 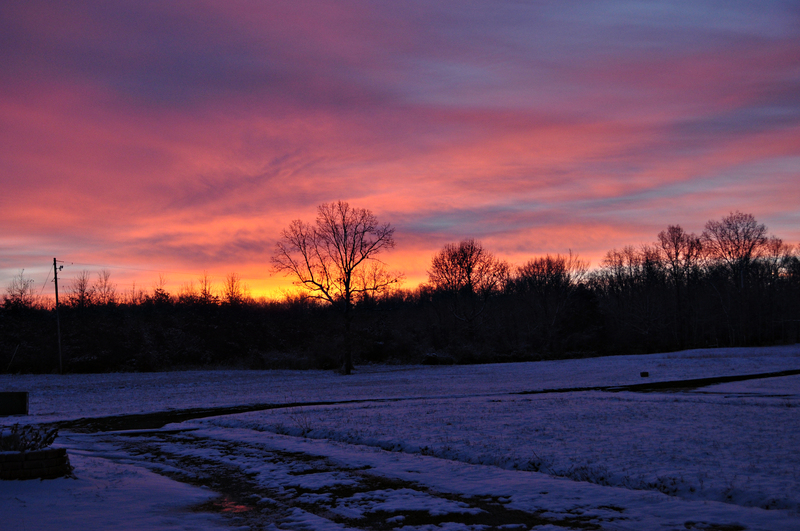 The sky this morning gave me a fresh outlook on the cold, dreary days we must still endure. If there are sights like these, the rest of the winter won’t be quite so unbearable. What little piece of heaven have you seen this week? This is a peek into my piece of heaven. Thank you for letting me share it with you. Your photos are gorgeous as always. Makes me yearn for the beach where I can really appreciate the sunrise over the ocean. I love your pics! So pretty. Wish I had your skill with the camera. WOW, GREAT PICTURES. YOU ARE SO LIKE I AM ABOUT GOD’S BEAUTIFUL TREASURES. I THANK HIM FOR YOU EVERYDAY. I LOVE YOU.